When spring weather arrives, my hubby and I are all about cream pies. 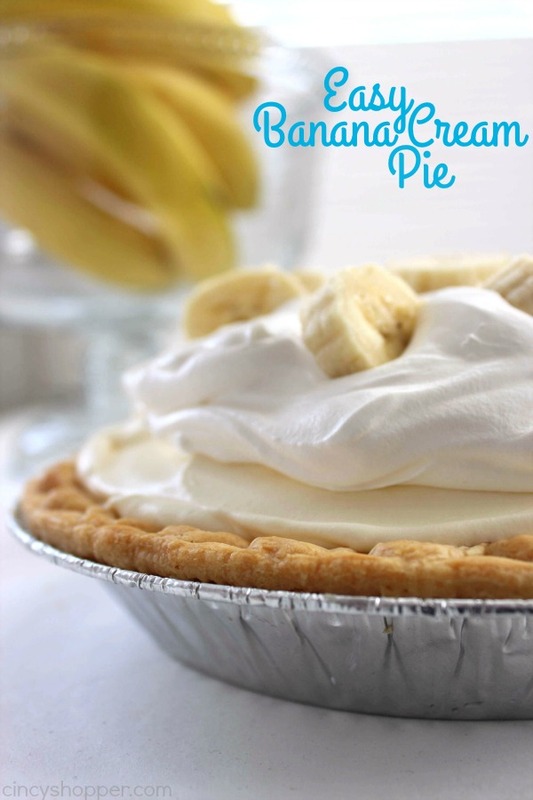 Banana Cream Pie and my Homemade Coconut Cream Pie are his favorite evening desserts. When I have time, I can make my super simple 4 Ingredient Pie Crust. But when I am looking to make a quick and no mess pie, I will use store bought crust. Par bake crust for 10-15 minutes until golden brown. Slice 2 bananas and layer in bottom of crust. Combine milk and pudding mix and whisk until thickened (about 2 minutes). Fold in 2/3 of whipped topping. Transfer to pie crust and chill for at least one hour. Top with remain whipped topping and garnish with banana slices. 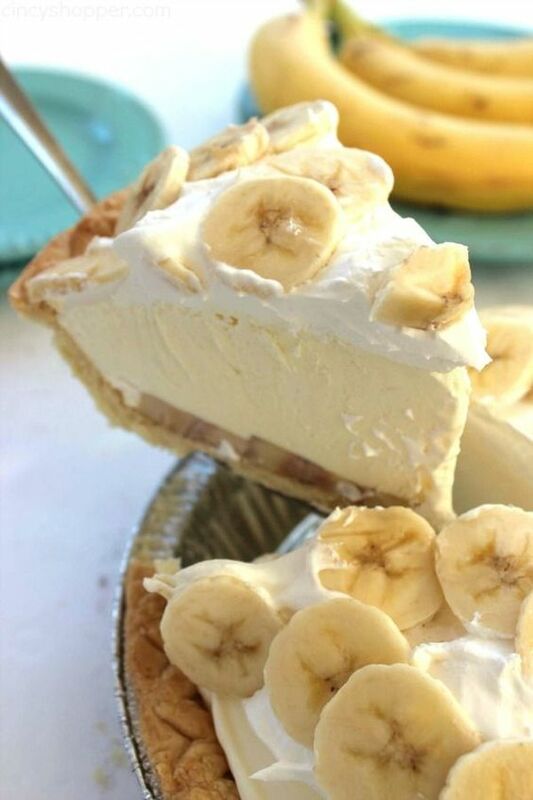 0 Response to "EASY BANANA CREAM PIE "